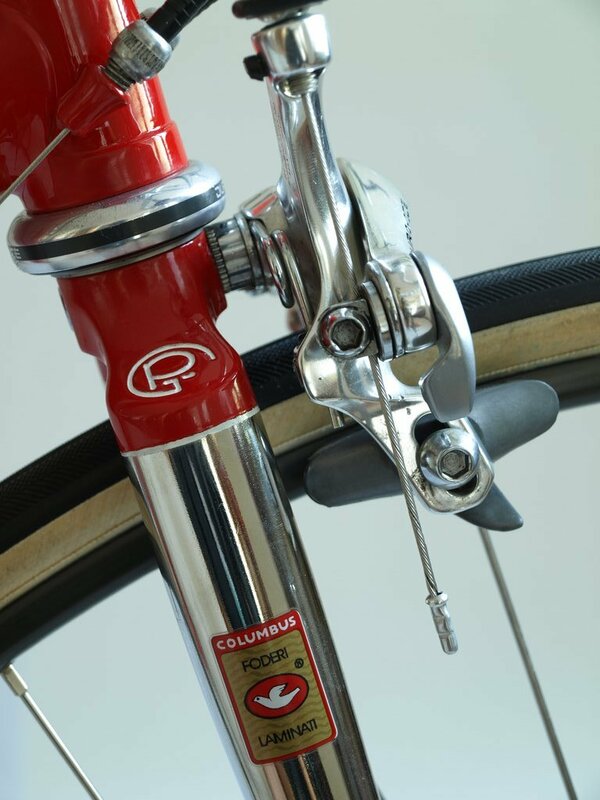 A late 80′s Pinarello Montello with chromed fork, seat and chain stays made from Columbus SLX tubing. This bike has many beautiful details, like the white set off Pinarello engravings and pin stripes or the typical investment cast bottom bracket with the GPT logo on both sides. Its equiped with a complete 8speed Shimano Dura Ace group with STI, Dura Ace seat post, 3ttt handle bar and Pinarello branded Look ARC pedals. The previous owner had the frame rebuild, therefore the cable is not routed trough the top tube and the shift lever bosses moved to the head tube.